A few weeks ago I wrote about how praying Psalm 37 is keeping me from flying off the planet. who shall give you your heart’s desire. who will bring it to pass. do not fret yourself, it leads only to evil. but those who wait upon God shall possess the land. seeing that their day will come. but God upholds the righteous. but those who are cursed shall be destroyed. who strengthens those whose ways are upright. for God holds them by the hand. and does not forsake the faithful ones. who is their stronghold in time of trouble. because they seek refuge in God. I'm delighted to be part of the blog tour for RevGalBlogPals's book There's a Woman in the Pulpit. You can read other entries on our webpage. There’s a Woman in the Pulpit: Christian Clergywomen Share Their Hard Days, Holy Moments & the Healing Power of Humor, ed. by Rev. Martha Spong, Skylight Paths Publishing, Woodstock, VT, 2015, 215 pp. Purchase from Skylight Paths (the publisher) for maximum return to the nonprofit group. Also available from Amazon and many vendors. 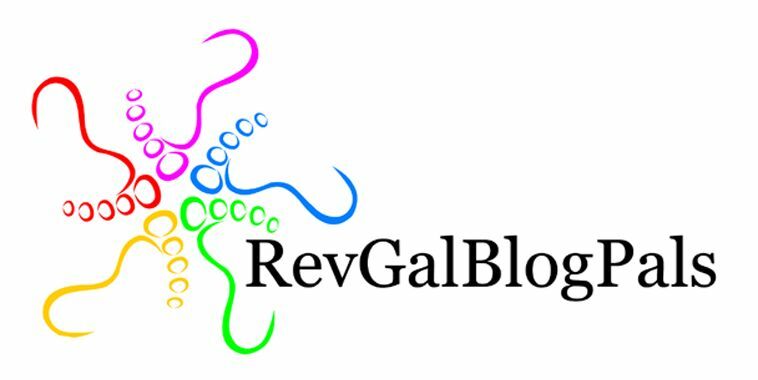 As a lay member of the group and a Board member and an officer, this project of RevGalBlogPals is near and dear to my heart. My writing is not in it, though, because I'm a woman NOT in the pulpit. I'm the woman standing next to the women in the pulpit. And, as such, I declare that this is a book for every person (man or woman) who attends a church, or who knows a pastor or minister or chaplain. For any person who cares about women and their spirituality. And for anyone who might want to understand what it’s like on the other side of the pulpit. This book addresses the core of what these women experience each day, funny and marvelous and terrible and sad, and will help those of us whose priesthood is the priesthood of all believers (and not an ordained one) to exercise it better, and to better support our clergy, male and female. I’ve heard several comments from clergywomen on the book’s blog tour and in other places saying, “I wish I had read this book in seminary!” Being a member of the RevGals community for ten years, and reading so many posts that were precursors to this book, is what convinced me NOT to go to seminary. I did years of discernment accompanied by the writing and with the friendship of these wonderful folks. While that may sound like a discouraging word, I believe it to be a tremendous gift. Not only have I determined the true direction in which I believe that God is calling me; I did not spend time and money and encounter heartbreak by heading down a path that was not mine to take. My call, in the church, is to support my clergy: especially women. To proclaim the good news of their voices and their gifts. There’s a Woman in the Pulpit is the illustration I’ve wished for all these years. To the people I know in my “other lives” – international educators, parking lot stripers, motorcycle riders – who wonder what it is I am doing with the “lady ministers,” I can now say, “Here’s a book for when you have some time” and know, no matter their beliefs, that they will find something interesting, funny, poignant and true. Later this month, Ken and I will celebrate our 15th wedding anniversary. That, in context with the previous post here, have me thinking how mysterious this life really is; how we never can really know what's coming down the road, and how we grow as we go along. 15 years ago, I was a different person, but still me. How does that work? Who knows? How could I have known how greatly my understanding of God and God's role in my life would change? that associating with a group of women clergy and supporting them would become a major passion of my life? Recently I took one of those Facebook quizzes that tells you what flower you are, who your evil twin is, etc. This one was about "which denomination should you be in?" and the answer I got was "Unitarian Universalist." It didn't surprise me...I once had a counseor, raised Episcopalian and worshipping Unitarian, say, "You sound awfully Unitarian to me." I'm not particularly orthodox. Looking at my beliefs in EFM has helped me to see that I believe a lot of church doctrine, but I would not fight for it. The virgin birth, for instance. I believe that God is totally capable of doing that, if God wants to. And if that were not to be the truth, it would not upset me at all. How could I have guessed it would go that way? How could it be predicted? It couldn't. That's what makes life interesting, I guess. Tonight I made mushroom stroganoff and walked the dogs and did laundry. Things are good. Life is good. Bishop Ohl introducing Deacon Amy Haynie and her family. Click here for more pictures. Earlier today I had occasion to look up the website for the church where Amy is now serving, where she was ordained Deacon in May. I found that they have a wonderful section of photos of the ordination (click above) and looking at them made me so, SO happy. That was a wonderful, happy day, one of the very best of this long icky summer. I'm so grateful I was able to be there and participate. God is good. I needed these memories today. Uh huh, uh huh, woot, woot! Just read in The Living Church that the Episcopal Women's Caucus is planning uninvited visits to 11 dioceses including...ours :) ... under its expanded Angel Project. "New times create new opportunities," wrote the Rev. Elizabeth Kaeton, EWC President and rector of St. Paul's Church, Chatham, NJ, in an article in the latest issue of Ruach, the EWC newsletter. "The caucus board has conceived of a new incarnation of this project. Based on communication we have received, we have identiifed 11 dioceses that are decidedly hostile to the ministry of women, lay and ordained. There are, no doubt, many more." Ms. Kaeton denied...that the caucus was compiling a hit list. "It's not at all," she said. "It's a list of places where, for years, we have heard women say the ministry of women, lay and ordained, is not being celebrated, or is flat-out hostile. And we want to go and hear those stories and provide some companionship and some hope." Borrowed from my friend, Social Worker. 9. Men with children might be distracted by their parental responsibilities. 8. Ministry is unnatural for men since their physical build suits them better for chopping wood. 7. Man, having been created before woman, is an experiment, not the crowning achievement of creation. 6. Men are too emotional; see how they respond at sporting events. 5. Handsome men will distract female worshippers. 4. Pastoring is a nurturing role; historically, women have been the nurturers. 3. Men are too prone to violence and would be dangerously unstable in conflict situations. 2. Men can still be involved in church work without having to become pastors. 1. Jesus was betrayed by a man, whose lack of faith and subsequent punishment symbolizes the subordinate position all men should assume.